Read The Deli's First Austin print issue - SXSW Preview! Here's the cover of the 1st issue of The Deli Austin. Click on the cover to access the pdf file. 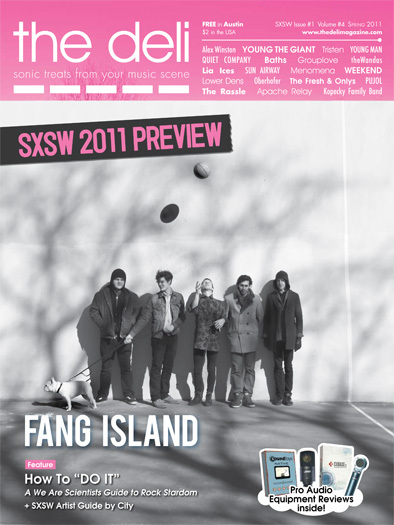 5,000 copies of the magazine will be distributed in Austin during SXSW MUSIC 2011.